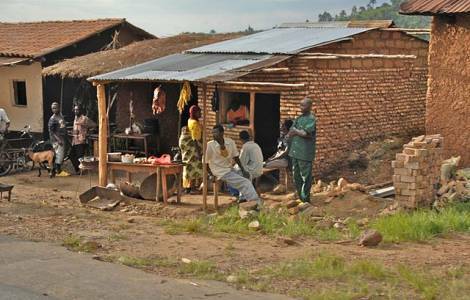 Bujumbura (Agenzia Fides) - "At present, the problem of poverty is dramatic in Burundi: there is hunger, lack of food, prices are high and people are struggling to have the necessary. Families, usually composed of 6 people, cannot cover the costs of school, illness, school fees, and I think it is hard for them to have a meal a day". Father Mario Pulcini, Provincial of the Saverians in Bujumbura, reports the situation to Agenzia Fides regarding the majority of the population in the small African country. In San Guido Maria Conforti parish, in Kamenge area, north of the capital, Father Mario and four other Saverians have been working for over 20 years with the collaboration of 5 religious women congregations. "This is a ‘missionary parish’ - he says, our charisma is the proclamation and the closeness, especially towards the weak, the poor, the abandoned. We try to understand what their needs are and help them as much as possible". On the occasion of the First World Day of the Poor, established by Pope Francis, initiatives of closeness were organized for people in difficulty in the parish of Kamenge: "Our confreres regularly visit the many sick in the neighborhood, bringing them food, essential goods and medicines". The missionaries also provide free care to the sick through the nearby dispensary run by the Sisters of the Holy Spirit. "A sign of closeness for these people - continues the missionary - is to put into practice the teaching that Pope Francis has given us with the Message for the Day of the Poor. The Pontiff has awakened our spirit of sensibility and solidarity towards the poor".